Some (almost) 6 years ago I was approached to help out with a prototype Weta Workshop was developing with a highly secretive tech start up called Magic Leap. Workshop was well known, especially here in NZ, but there was little to no info out there about the latter. Nevertheless it sounded intriguing and I figured why not.. I was the first and - for 6 months - only programmer on the project which would grow and transform over the coming years into Dr Grordbort's Invaders. I was also the first games industry person at Magic Leap. Quite amazing to think how far things have come since those early days. The NZ studio has grown to around 50 people, and my job entails very little programming these days - we've been fortunate to hire a bunch of far more talented people. What's made the journey especially interesting is that we weren't "just" creating a game, but were heavily involved with building the platform - hardware and software. It's been a genuinely fascinating and exciting process and I've been so fortunate to work with so many brilliant people across all disciplines on teams around the world. 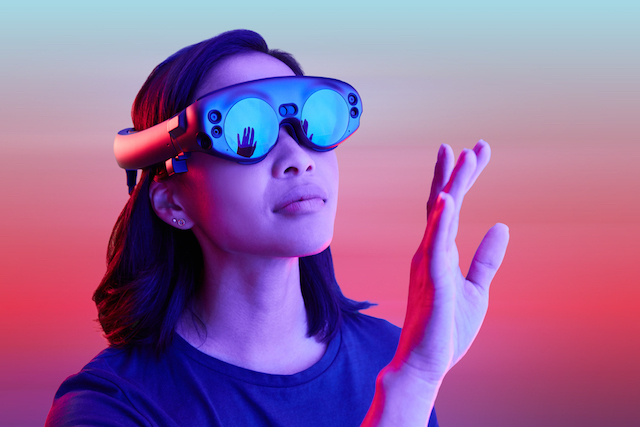 Magic Leap One Creator Edition - our first small step - was released in August and it's been pretty awesome to see the cool things developers have already done with it. And then last week we released Dr Grordbort's Invaders. This is just the beginning - the tech enabling Mixed Reality is progressing at a rapid pace, and will only accelerate over the coming months & years. There is a lot for game devs to be excited about here - the rule book has been torn up, and it's time to start learning again.